You really don’t need a lot of money to change the look of a room. 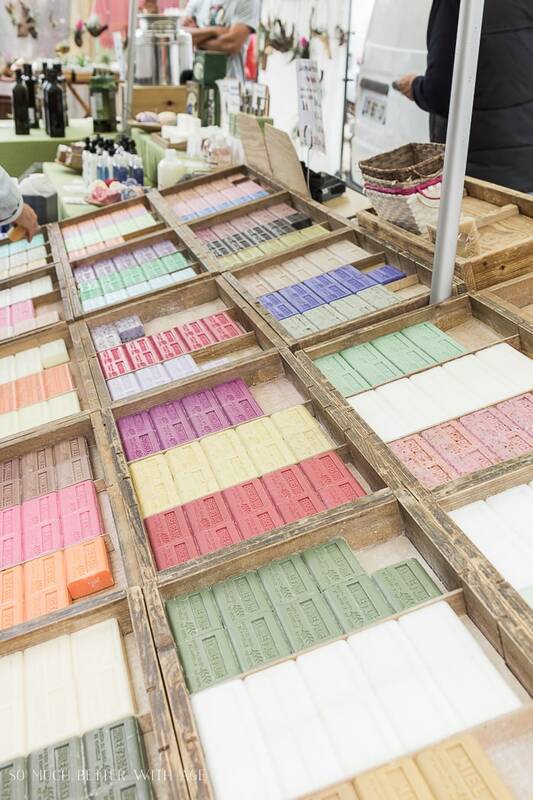 Actually, there are easy-to-do changes that cost little or no money at all! We just need to be a little creative, think outside the box and use what we have hiding in plain sight in our homes right now! Just the littlest changes can make big differences. Here are 10 amazing tips for zero dollar decorating! 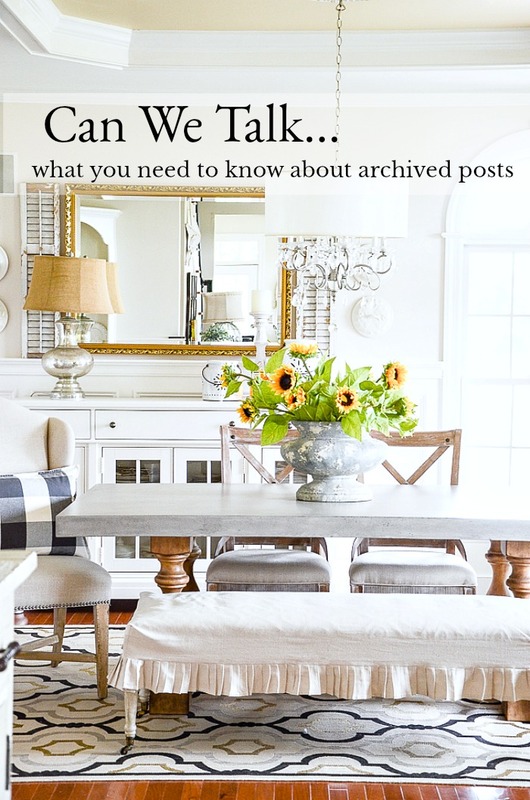 You don’t have to look very far in my home to see things upcycled, repurposed, borrowed from other rooms, painted, brought in from outside, rescued from the basement or rearranged. My dining room is a great example of zero dollar decorating! Here’s a challenge from me to you: Instead of just reading this post… try to think of a way you could use each tip in real life in your home! 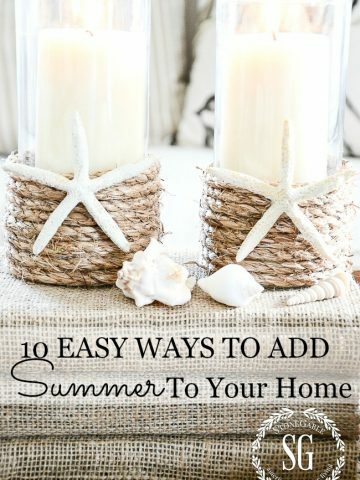 Use this post as a worksheet and start zero dollar decorating your home! 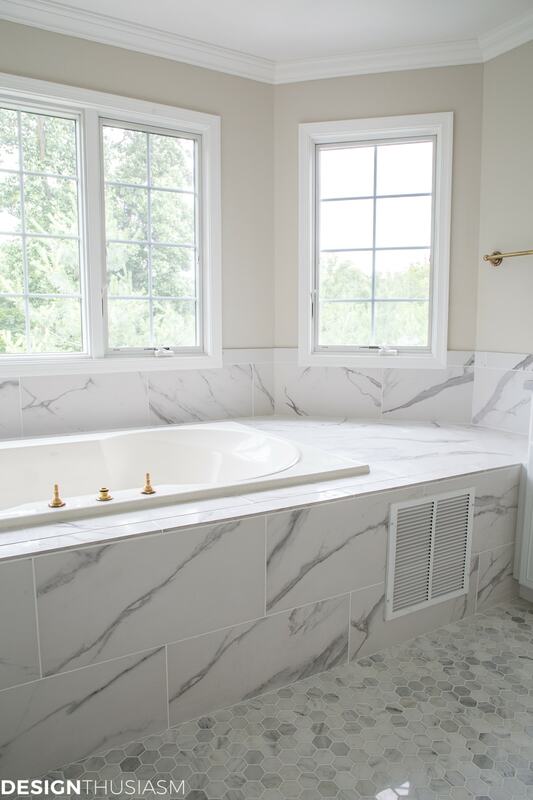 The best way to redecorate and not spend any or little money is to shop your home! Look at objects with a “fresh eye”. 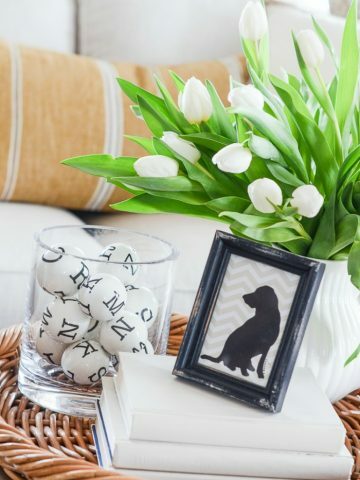 Our homes are full of wonderful home decor! They may need to upscaled, repurposed, given a new home in a different room or even taken apart and used in a new way! 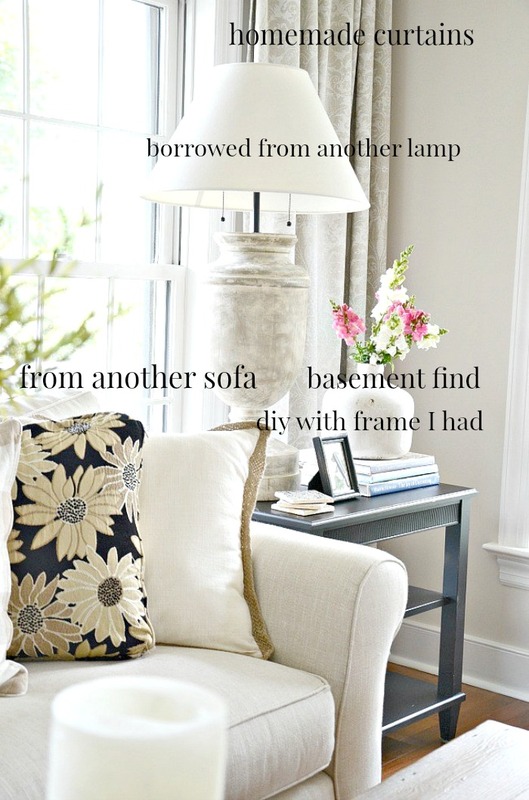 Find at least one item you already have to breathe new life into a room! The “vase” the snapdragons are in was found in the recesses of my basement. I got it for a song at a vintage shop! Take something you have discarded as out of style, old, tired or useless and make it into something completely different that will be useful in your home! 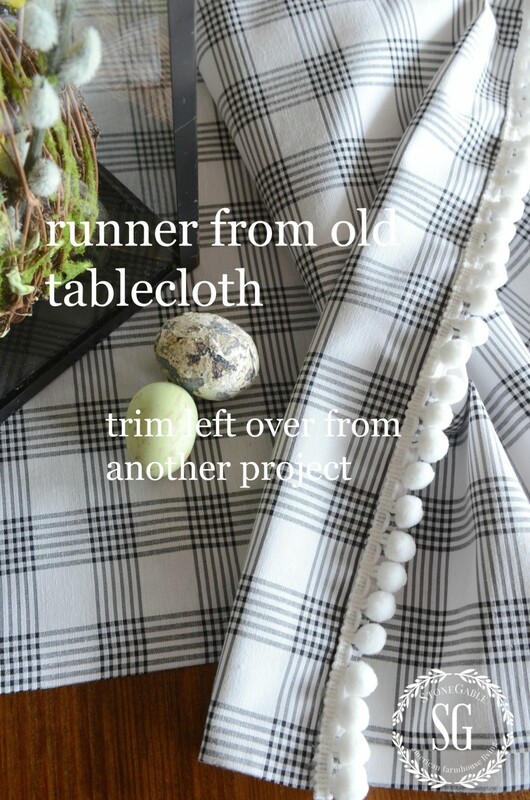 Use old curtains, sheets, shower curtains, even old sweaters and turn them into useful and unique table runners, seat cushions, pillows or placemats! Get out your mismatched dishes and make a pretty tiered dish tray or make some great wall art! Use the insert of an old pillow in a new one. Transform an old dining room hutch and use it in the living room! Find one thing you have stashed away that can be upcycled into something you can use in your home! Head outdoors and bring nature inside. Think seasonally! 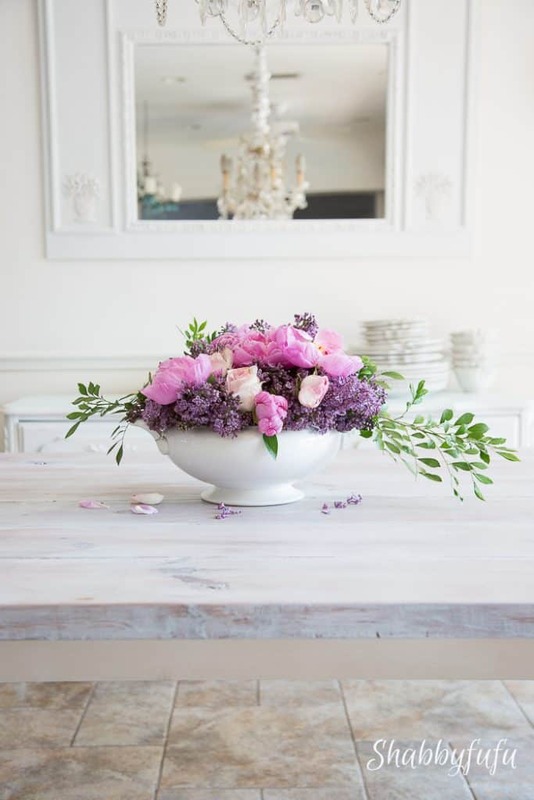 Bring in cut flowers in the summer, branches of colorful saturated leaves in the fall, baskets of green or pinecones in the winter and budding twigs and flowers in the spring. Don’t overlook interesting pieces of wood or great stones! On a trip to Bar Harbor, we collected and brought back a bag of pretty smooth stones and put them in a glass bowl. It made such a striking decoration! In the image above, I filled tall glass cylinders with walnuts, green split peas and corn and nestled candles down in them for a very interesting arrangement! Go for a nature walk and find something interesting to use in your decor! Paint is like liquid gold! 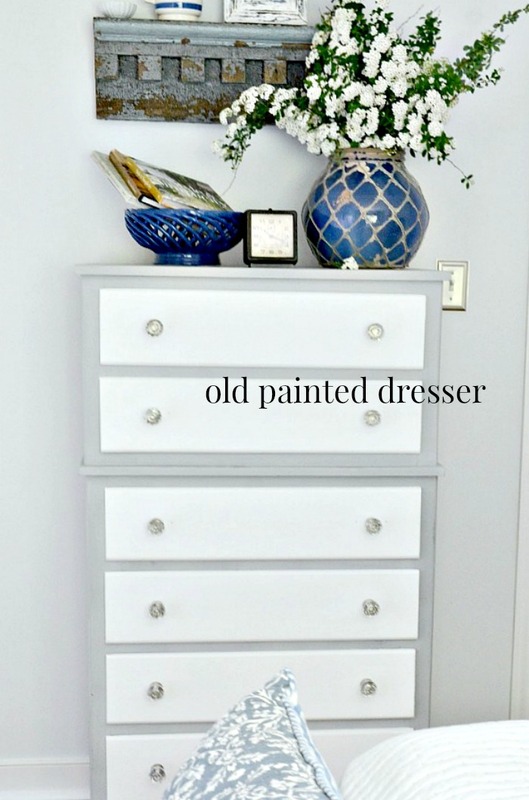 Nothing updates a piece of tired furniture like a coat of paint! And even a small swath of fabric can be transformative! Seems like I’m always painting or covering something with fabric at StoneGable! I have a shelf of paint pots and a basket full of remnants just waiting for me! You can see how to paint books HERE. Did you know that you can paint fabric? I’ve even painted a plain pair of curtains. Also think about all the spray paint around your home too! Take an inventory of your old paint. Find a paint color you love and then paint something…how about the back of your front door? 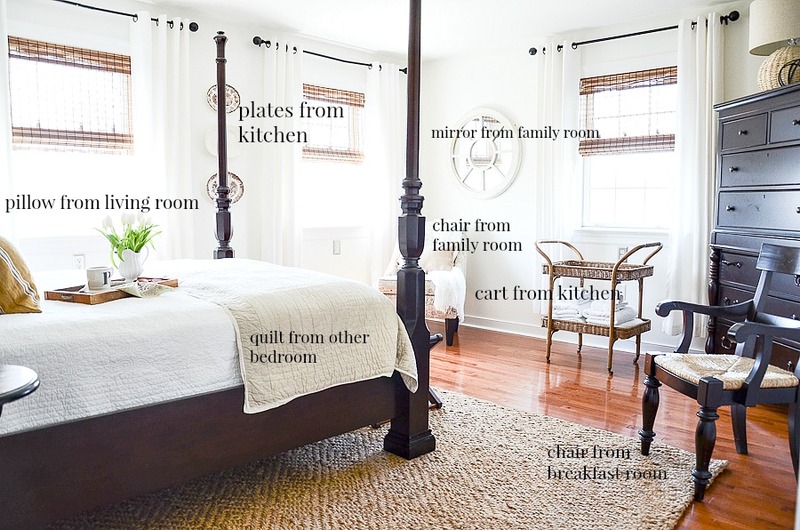 Use things around your home in a totally different way. 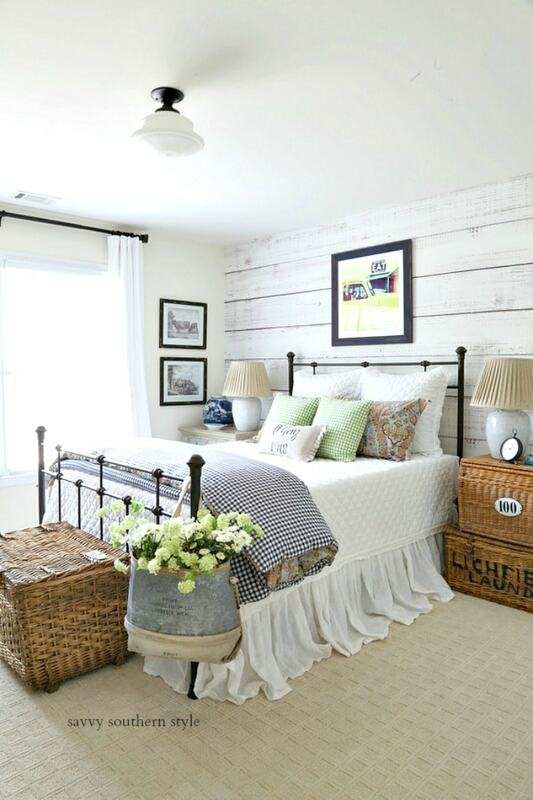 This is creative and fun and adds tons of character to a room! I love to use pedestal cake plates for almost anything but cakes! Challenge yourself to find a new decor purpose from something in your kitchen! Books are amazing zero dollar decor! I use them to bring interest and texture to a room and they make perfect “risers”! Cover your books in burlap and they take on a whole new fabulousness! 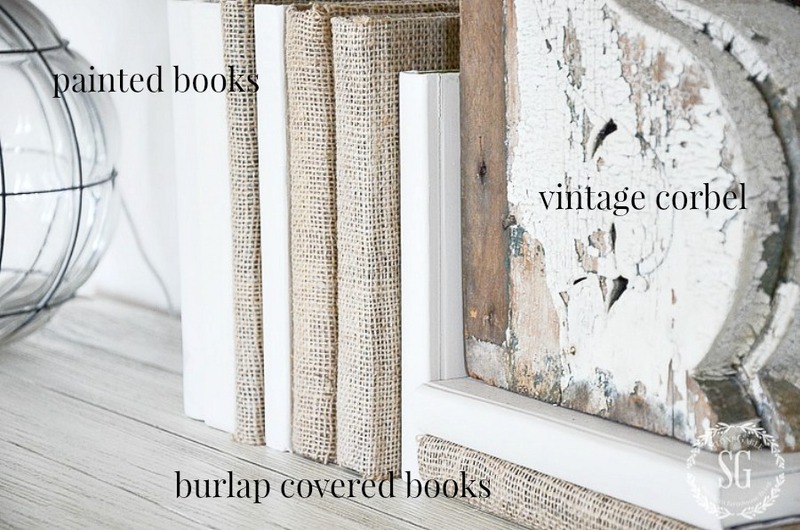 To learn how to easily cover books with burlap click HERE. Create a stack of books as a riser and perch something on top of it! 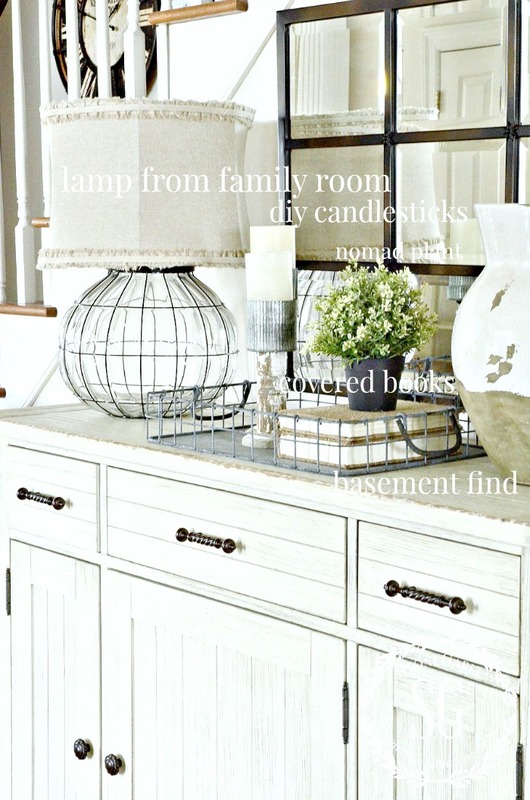 Grab all your “stuff” and put together a new vignette. 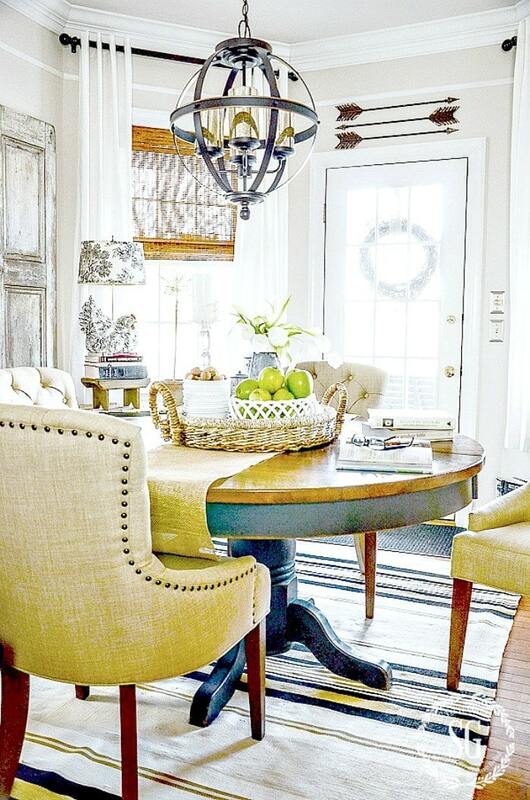 Nothing breathes life into a room like a new and interesting focal point! Don’t hold back… put interesting elements together! It’s amazing what a little rearranging will do for a room. Try something new and different. Move furniture from one room to another. Move your home decor things too! It’s so much fun to move art, mirrors, accent chairs, small tables, lamps, accessories and plants around from one room to another. It keeps life and your home interesting! Although many of the big pieces of furniture were bought for this room, there are still many pieces that came from other parts of my home! Move one or two decor pieces around today! There you have it! 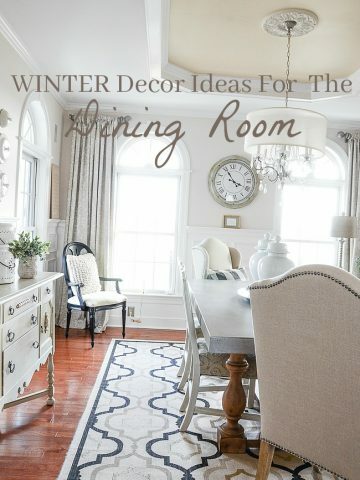 AMAZING and very easy TIPS FOR ZERO OR ALMOST ZERO DOLLAR DECORATING! I bet you have been zero dollar decorating too and maybe did not know you were doing it. And I hope you do more! 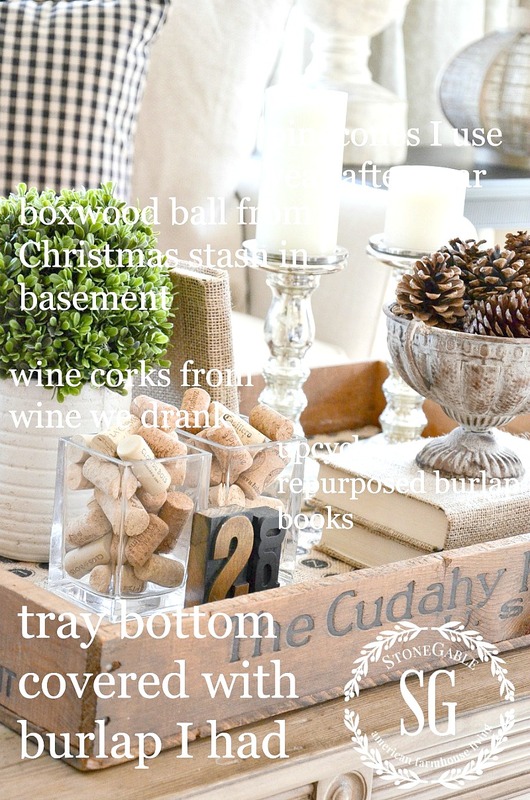 Do you have a great zero dollar decorating tip? Please share it with us today! You can follow me on Pinterest and see all the great things I’m finding to pin every day HERE. 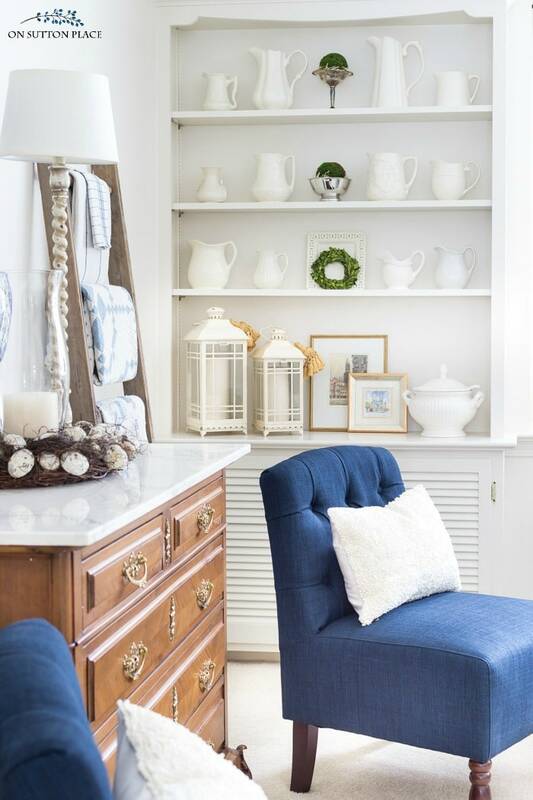 I am really loving your Family Room refresh…all of the new white vases and the beautiful blue accents make my soul sing! I love all shades of blue, and I just love the changes you’ve made! Thanks for the great suggestions. Very motivating! Hi Cecilia, I’m glad to see your comment here! Just found your blog. I so love your decorating style and all the tips and recipes you also share! I’ve heard you mention your beloved Stonegable house and property. Wondering if you share photos somewhere of your home…like an electronic tour. My husband and I are getting ready to build a small farmhouse on family property. This will be our retirement place and sanctuary, so looking for ideas. You can see the outside of our home here: http://www.stonegableblog.com/stonegable-outdoor-tour-and-history/. And peruse my decorating posts to get a good idea about the layout of the inside. Congratulations on your upcoming new home!n May you be blessed and everyone that enters in. Those yellow chairs and that table are fantastic in the first pic. My tip would be to become a “trash whisperer”! I found a great wooden bench at the recycling center that I plan on updating and see stuff on the road all the time. Marissa, you are a joy!!! I loved meeting you! Wasn’t Haven amazing!!!!! LOVE the”trash wisperer”! This is such a great post. I can pin the post? It’s a great reminder to move things around. I like to do this. I get an idea from you but I substitute. I used apricot pits with my candles instead of nuts. They hold great significance because my childhood neighbor “Mom” was interned as a child with her little brother and widowed mother in a Japanese American internment camp. They were interned in an entirely different state than CA. Grandma K as we called her was very resourceful. She saved the apricot pits from the fruit they were given. She asked for army blankets and made everyone in camp a coat. The apricot pits were used as buttons. She saved some back for her small children’s stockings at Christmas. It humbles me as I think up games to play with apricot pits. I like to display them. I’m eating them now so I should be saving new pits. They make a nice organic filler. I used them as you showed using nuts. Being creative and seeing old things in a new way makes our homes unique to us. I’m getting new pieces of furniture that enhance some old pieces. But it also is letting me know it is time to let that old chair go now!! Gotta go!! Two things need to move in my house. I have one move ready to go. And another thing to get out of storage to display. You make life fun!!! Of course, Gwen. Please pin every StoneGable post!! And pin them often! So many good tips ~ I’m scourering (?) my home ASAP! Do you have any tips on painting fabric? I’m wanting to paint my sitting room sofa, but don’t have the courage ~ yet! Oh, yes Susan! 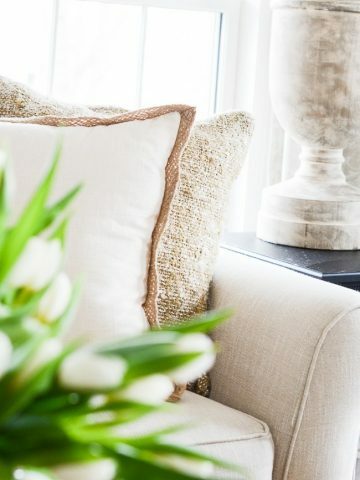 Look at this post…https://amyhowardhome.com/painted-chair-fabric-cushion/. I’ll be sharing how to paint on fabric on the blog this fall! I’m with you Yvonne on all of the above.One of my favorite things to do in decorating is to repurpose something you may want to get rid of.I am a big fan of paint and spray paint,it gives new life to a piece.I don’t have the room to change furniture around but am always changing accessories.Thanks for the informative post. 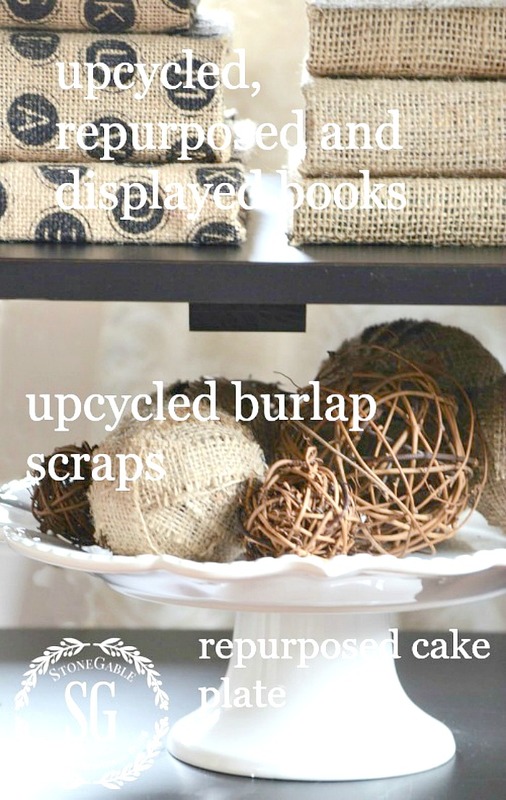 Great advice on decorating with what you have and reusing items in a new way. Where is the orb chandelier from in your picture above? At a recent Bible Study group I was chatting with another woman and shared I wanted to use a red, white & blue color theme in my kitchen for the summer to freshen things up so I “shopped my house” to create several vignettes using this color scheme. She had no idea what “shop my house” meant and when I explained it, she actually jotted down “shop my house idea” and excitedly shared the idea with several other ladies as they arrived. Thanks for spreading the word, Patricia!